In the days before geostationary satellites and GPS devices, the men and women of the Ordnance Survey had to map the countryside the old fashioned way. 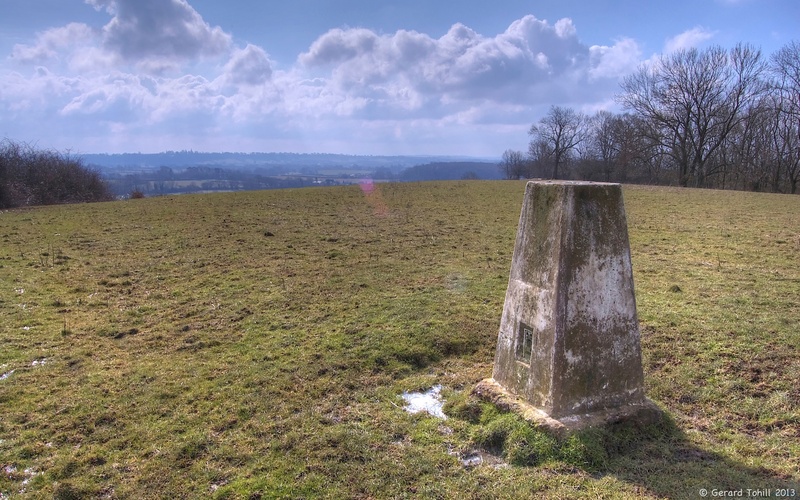 A fixed trig pillar would be built on various hill and mountain tops. Each pillar would be a known height and location, from which the surrounding countryside could be surveyed. This is the pillar on Berrow Hill in Worcestershire. I’m not sure how useful it will have been, because Berrow hill top is a large flat area, and anything nearby would be hidden by the slope. As a walker, trig pillars are always a welcome sight. You know you have reached the highest point, and, as they are clearly marked on a map, you know *exactly* where you are. Interesting! Reminds me of the boundary markers placed by Mason and Dixon, both from the UK, in their 1763 survey of the southern border of Pennsylvania (Mason-Dixon Line) here in the US.